Trade in your old/used drum gear: cymbals, drums, etc (anything of value) for our new, customized cymbals! 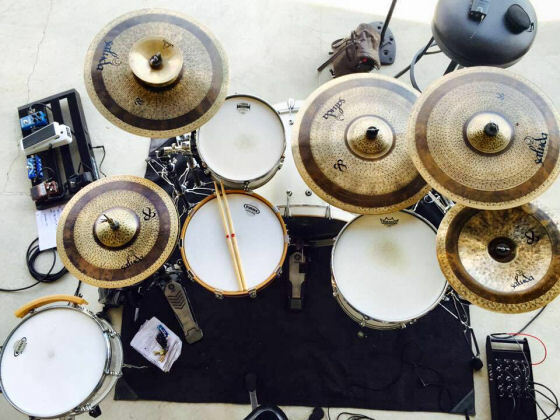 Get a Fresh Sound and Look from your Cymbals! Email in Today For More Information! 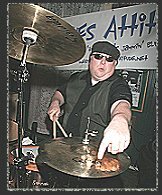 Looking for a Cymbal Endorsement? Keep an eye on our social media sites: Facebook, Instagram and Youtube. We update these sites often with promotions, general updates, cymbal giveaways, contests and more. Our Ambiance series (see below) was finally released on May 30, 2017. It was 4 years in the making. The Tesla series has been officially discontinued, as a regular production series. We are slowly working on our sound/video recording ability. These update on our Youtube Channel quite often. There are other Sound Files in our 'Sounds' section, but most of these are 6+ years old. Make sure you follow us on our social media sites. We regularly do free cymbal giveaways on your Youtube Channel, whether it be a stack, crash, hats, ride, etc. All in the name of Customizing Your Cymbals! Contact Us Today! You can also send in your existing cymbals, of any brand, and we will customize them for you. These services include anything from thinning/lathing, hand hammering, venting, lathed stripe designs, finish design work and even repairing cracked cymbals! Email us for more details. We are the only true custom cymbal company around! 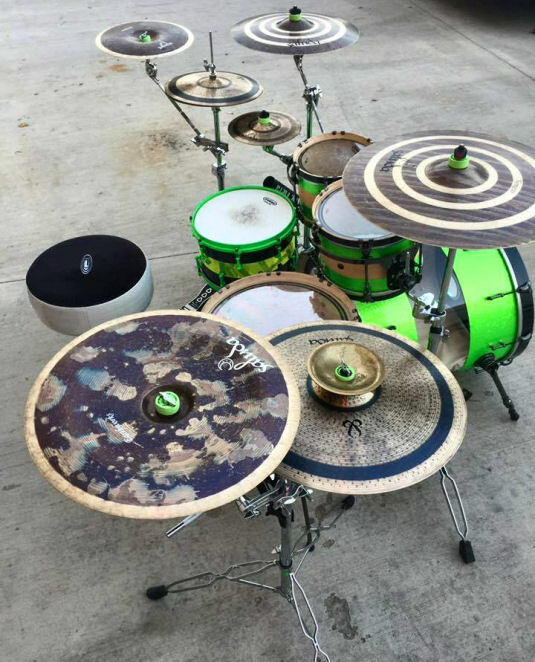 With all the hype going around for custom drums, why not get a set of custom cymbals? We have a wide variety of cymbal series and plenty of customizing options. In most of our cymbal lines, you can tell us how you want the cymbals to sound. And in some of our cymbal lines, you can even tell us how you want them to look (as far as lathed striping)! We only offer professional cymbals in B20 bronze alloy to give full, complex, lively and very versatile sounding cymbals. 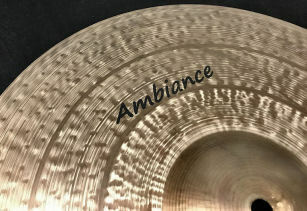 We offer some of the best sounding and most unique looking cymbals on the planet! You really get your money's worth. Our cymbals come to life on stage where you, your band mates and your viewing audience will hear and feel the difference. 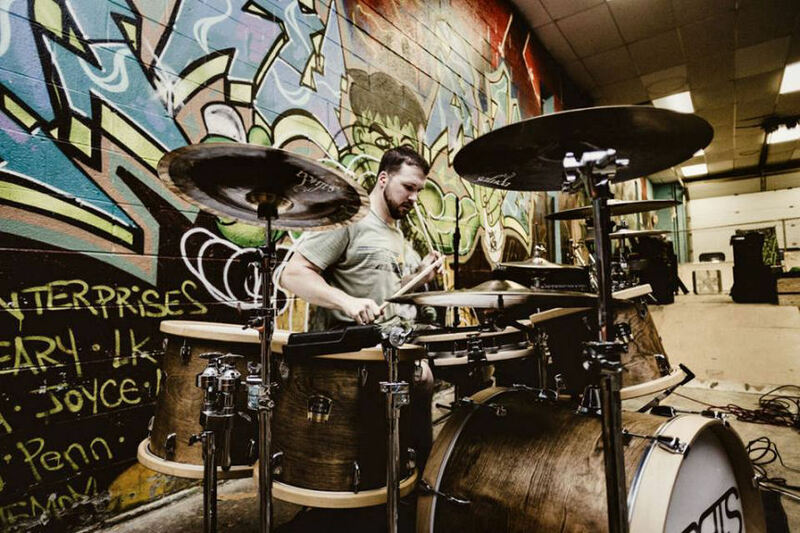 Cymbals are a part of music; Let them be heard! Let them be felt!